I have recently done a major overhaul in my house for the sake of simplifying. Only our favorite things made the cut. It really made me realize all of the ridiculous and pointless purchases we have made in the past but also gave me the idea for this post. Since it is Christmas time, I thought I’d share with you some of my favorite things that made the cut, just in case you know someone who might enjoy them as much as I do. You can find any of these products on Amazon. I pretty much keep them in business. Pointehaven Heavy Weight Flannel Sheet Set – My husband and I absolutely love these sheets. They are so warm and cozy for the winter time and the pattern is really pretty. 2. 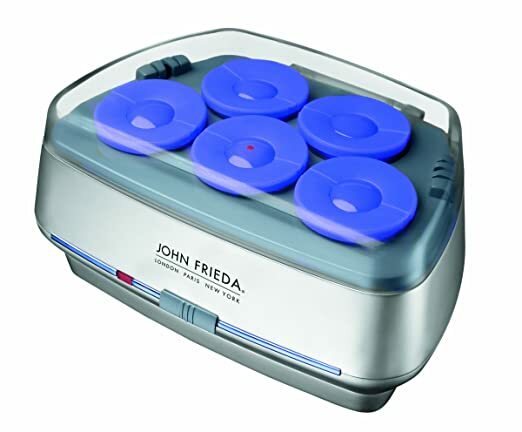 John Frieda Body & Shine Smooth Waves Jumbo Rollers – These hot rollers heat up super fast and give you beautiful, big waves in just minutes. The clips hold them in place really well, too…unlike a lot of other hot rollers on the market. 3. 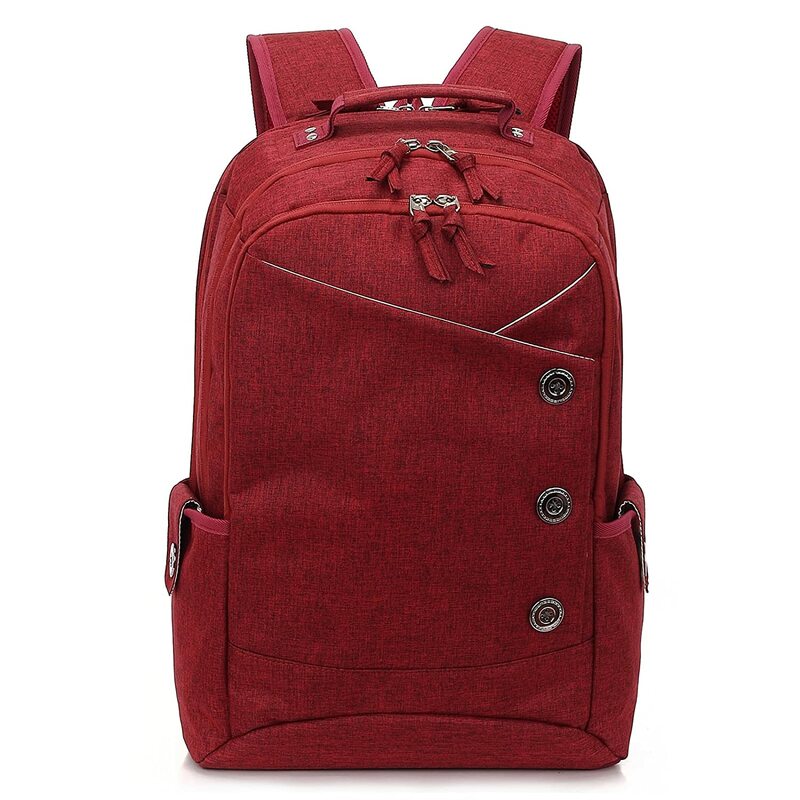 Kingslong 15.6 Inch Laptop Backpack – This is THE BEST laptop bag/backpack I have ever owned. Not only is it super stylish, it’s super functional. There are a plethora of pockets and compartments for all of your things….I can even put my lunch bag inside of it with my wallet, keys, cell phone, notebooks, laptop (obviously), and my bottled water. Also…it’s WATERPROOF! 4. Realm Cologne for Men – Ladies…I cannot keep my hands off of my husband when he wears this cologne. Seriously. Enough Said. 5. 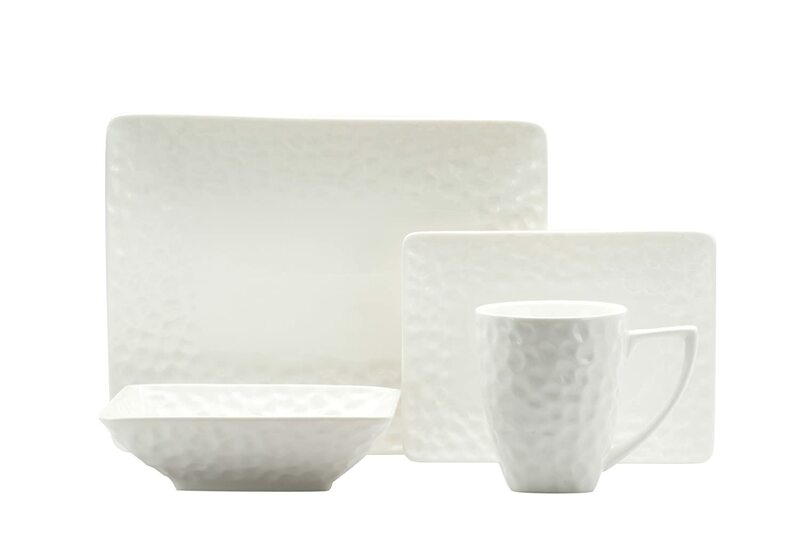 Red Vanilla Marble 16-Piece Rectangular Dinnerware Set – I have a thing for white dinnerware and this is the prettiest set I have ever seen. I absolutely love serving food to guests on these. 6. Kenneth Cole Puffer Jacket – Bill bought me this coat a while back (knowing that I love rose gold – major points scored). It is really warm AND lightweight. 7. 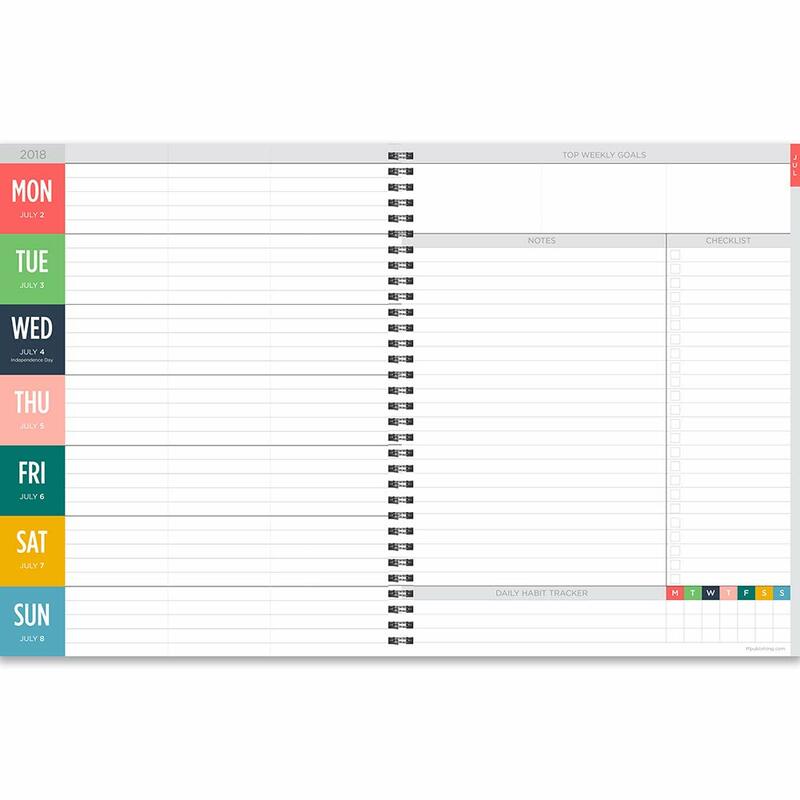 TF Publishing Large Weekly/Monthly Planner, 9 x 11″ – I love this planner because it incorporates everything that I have ever wanted in a planner: Weekly layout, goals, notes, checklist, and habit tracker. It is really versatile yet simple. 8. Sea Salt Caramels (Dallas Caramel Company) – Ok. So, you can’t get these on Amazon. But, I HAD to include them because there are no words to describe the experience I had the very first time I put one of these in my mouth. Hands down THE BEST caramels ever made. Worth.every.penny. 9. 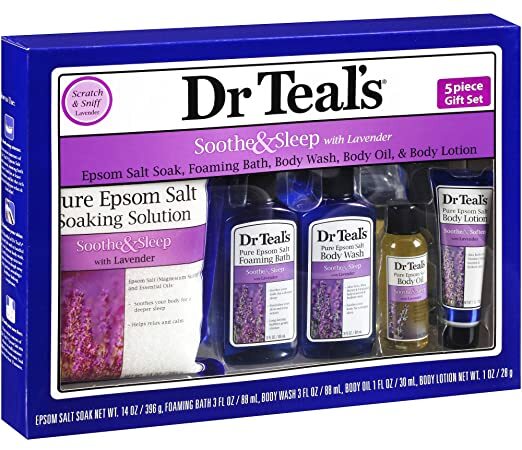 Dr. Teal’s Bath Set (Lavender/Chamomile) – I couldn’t pick just one of these products because, honestly, I love them all. This girl loves her a bubble bath. I usually do a combination of these two fragrances in the Epsom Salts and Body Oil. Just a little bit of body oil in your water goes a long way. It makes my skin really soft and relaxes me to pieces. This is a self-care MUST….with candles, of course. 10. 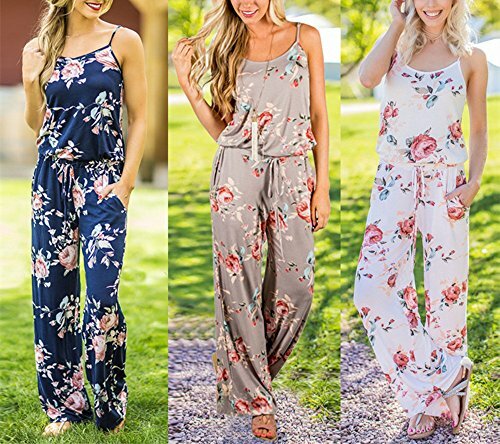 Floral Romper Pajamas – These are technically listed as “casual wear” but I only wear mine around the house and to bed. They are SO comfortable, not to mention just plain cute. "She woke up one morning and FINALLY remembered who she was and decided she didn't want to feel that way anymore, or EVER again. In that one moment, the game completely changed." This blog post has been in the works for quite some time. It is the result of a very long healing process that God has been leading me through. It has taken a while for me to share it with you because there were a LOT of layers to sort through. The above quote is actually two quotes that I found on Pinterest a while back that I mushed together. They really resonated with me...and then one day (very recently), I FINALLY knew. I was actually remembering who I am. And now, it's time. The game is completely changing. I am finally ready for the next exciting chapter in my life. A season of sharing my story of God's grace and mercy in my life. There is a severe epidemic going on right now that I think is so embedded into our culture and our damaged psyches that I don't think anyone really even knows that it's happening. I'm going to call it "Identity Amnesia". I would say, from my very professional and extensive research (of my own opinion) that the majority of people walking around today are suffering from this. It's why people are self-medicating and walking around wishing that they knew why they feel the way they do. It's the reason why very few people are really doing what they have a passion for and settle for a job that will just pay the bills. It's why people become suicidal OR become predators and hurt others. I truly believe that this is at the very core of why our world is SO very broken...and yet it is widely accepted and left to flourish. Let's pretend that you have just invented something. You have spent all of your time and energy making sure that it will be just right and will fulfill the purpose for which it is made. You are so very proud. It is an extension of you because you put so much of YOU into it. It is your pride and joy! The very first thing you do is go to get a patent on it. Why? Because it is YOUR creation and this is your chance to make it official, put your stamp on it, and then proudly put into detail the reason you created it, it's purpose, all of it's cool/unique features that set it apart from anything else out there, and last but not least, it protects your creation from being claimed by anyone else for their own use. A scented candle was created to envelop anyone who breathes it in with a sweet aroma. It was created with a good purpose in mind. However, it can't truly fulfill it's purpose without a flame. Fire is the key to bringing out the intensity of the candle's fragrance. The same can be said of us. Sometimes we must endure some very difficult trials through fire. God doesn't set our lives on fire to hurt us. No, that's Satan's intention. He wants us to focus on the flames. He knows that if we never see past our problems, our strongholds, our despair, and our brokenness that we will eventually get burned out and may even end up with scars from the very fire that was meant to bring about the very best in us. And, sadly, many of us get stuck there and eventually completely lose sight of our identity as God's fearfully and wonderfully made children. I don't say this to you from an ivory tower. I say this to you as someone who has spent the last three years of my life being set on fire in every way you can imagine. And I won't lie...I almost let it consume me. But, God never threw up His hands and gave up on me. He never allowed Satan to steal me away from Him. Instead, he continually brought my focus away from the flames and back to Him through His grace and mercy. I know that some of you may be dealing with some major problems in your lives right now. But don't forget who you are and that God knows His plans for your life and they are good plans that will not only bless you in the end but numerous other people, as well...if you let them. Don't focus on the flames. Try to remember who you are and how God has continually brought great works out of seemingly impossible situations. Let your fire shine brightly for those who need the scent of the sweet aroma that is the purpose for which you were created. Several people have asked me recently why I feel the need to be SO transparent in my blog posts...viewing it as "airing all of my dirty laundry". I always have the same purposeful explanation in response. I did not create my blog with the intent to show everyone some sort of distorted view of my life that is always sunshine and teddy bears. I write it to show that we ALL struggle with our own personal issues BUT that there is someone else out there who knows how low life can get and who also knows that God ALWAYS finds a way to get you through it and teach you lessons that you never realized you needed to learn. I HAVE had a very rough past few years but I have also learned a lot and have reaped more blessings, grace, and mercy from God than I could have ever experienced without going through the things I have. I have met many Christians who put on a good front that their lives are picturesque and that they seem to have it all together. I can tell you that when I have been in the deepest of my trenches, they were the LAST people I wanted to go to for refuge and advice. That front does nothing but show others that they should be ashamed if they have struggles within their Christian walk with God. Those types of Christians are not approachable or helpful in times of real struggles. I have always had a heart for Women's Ministry. It is THE reason I got my degree in Christian Ministry. Sure, I may still be struggling with certain strongholds in my life but I also know the true depth of God's love, grace, and mercy and THAT is what I want others to see through my blog. You can reach rock bottom but still be given hope that one day you too will get to a point of seeing the amazing Lord that we serve and just how personal and loving he is to each one of us. He never wastes our pain and he never leaves us alone to drown in our strongholds. Even when he seems silent, you will later see just what he was doing in those times of "silence". If my transparency gives hope to even ONE person then it has all been completely worth it to me. I've been through the trenches and I know your pain can sometimes feel as though it is going to last forever. I am here to give you hope that "this too shall pass". Not only will it pass but God WILL fight for you. He is with you and FOR you. Always. 15 "I don’t really understand myself, for I want to do what is right, but I don’t do it. Instead, I do what I hate. 16 But if I know that what I am doing is wrong, this shows that I agree that the law is good. 17 So I am not the one doing wrong; it is sin living in me that does it. 18 And I know that nothing good lives in me, that is, in my sinful nature. I want to do what is right, but I can’t. 19 I want to do what is good, but I don’t. I don’t want to do what is wrong, but I do it anyway. 20 But if I do what I don’t want to do, I am not really the one doing wrong; it is sin living in me that does it." Ugh, strongholds...am I right? The thing about them is that just when you think you've got them licked, Satan finds a way to worm them right back into your life. Guys, I need prayer this week. I am in a full on battle with myself. I suffer from major anxiety and it seems to be getting the best of me lately. I am in between health insurance right now so I have not been able to refill my normal prescription that helps to alleviate it. Unfortunately, my stronghold when I get to this point, is to dull the anxiety with alcohol. A lot of people view alcoholism as something that can be controlled with mind over matter. I wish it was that simple. The best way I think I have ever heard it explained was like this... Alcoholics don't become that way because they WANT to be. There is always an underlying cause. Mine just so happens to be my anxiety. When you have anxiety, it feels like you are literally being tortured from the inside out. And anyone who is being tortured will do ANYTHING to make it stop. Therein lies the problem. You KNOW it's not a healthy solution. You KNOW you are opening yourself up to all of the problems associated with drinking too much...what it does to your relationships, your health, your freedom. And yet, they are called strongholds for a reason. Yesterday, exactly one week after our wedding, I was approached by a friend of my parents who was telling me that her daughter has also had a rough past couple of years and even though she is now having mostly good days, she is still in the trenches. This post is dedicated to her. Any of you who have read my very first blog post know that I have gone through some major trials, including a divorce after 16 years of marriage, going through a very serious surgery that resulted in a near-death experience, being sexually assaulted, getting involved in a very toxic and emotionally/mentally abusive relationship and finally hitting rock bottom after getting a DWI because my way of coping was to drink away the anxiety that I was left with. I want you to know that yes, those experiences were excruciatingly painful...and even some of my own choosing. I would never choose to go through any of them ever again but I cannot honestly say that I am not thankful for where they led me. God never wastes our pain. I want to share with you just a few of the many blessings I have received from our Father that I never would have known had it not been for those trials. His grace is all we need and His power works best in our weakest times (2 Corinthians 12:9). My DWI - I have no doubt that I would still be self-medicating with alcohol had I not gone through this long and exhausting legal process. Spending a night in jail and ALL of the battles that go along with something like this really make you re-evaluate how you are coping with things. This forced me to take a step back and finally admit that I was not dealing with my stress and anxiety in a healthy way. I learned to accept the help I truly needed. My divorce was difficult and also came as a huge surprise to many friends and family. While I will not go into the events that led up to our divorce, I will say that God taught us both a lot about ourselves and showed us the true meaning of forgiveness. We forgave each other for the mistakes we made with one another and I can truly say that we have a friendship that no one will ever fully comprehend. One of the many stipulations of my DWI arrest was to attend counseling. I have learned a lot about myself through this and have also gained a wonderful mentor who saw past my mistakes and helped me find a passion and a calling. I have been invited to come back as a counselor and teacher through that very same program once I come to the end of my probation. I also don't believe that I would have met my sweet husband had I not walked down the broken path that I had taken. He came into my life at exactly the right time. He was there just as I hit rock bottom and has never left my side. He knows the scars I have from the abuse I endured and I am convinced that God hand-picked him to be the one to protect me from ever having to endure that again. He has helped me to find ME again and I truly have joy and peace again. I have also gained a step-daughter who is a true joy to be around and the relationship that she and Bella have formed is one that only God could have orchestrated. Bella has seen and experienced so much more than any child should have to over the past few years. I have put her through a lot...and this has produced a lot of guilt in my heart. But, God has not only protected our relationship, He has also made it abundantly deeper. I have made no secrets about my weaknesses with her and I have used what I have gone through to teach her just how hard life can be...but that there is always strength to be found that you never knew you had and that YOU have the choice to take hold of it instead of folding under the weight of your adversities. I know I am leaving so many things out that just aren't coming to mind right now but that is because my cup is truly overflowing with blessing, grace, and mercy. Whatever you are going through, my friend, know that my heart and my prayers are right there with you in the trenches. God WILL provide just what you need and you will be able to look back and see what a beautiful tapestry He has created out of your broken pieces. I have had MAJOR writer's block recently. But, last night Bill and I went to my aunt's house for a Super Bowl party and as he put his arm around me on the couch and I leaned in to him something suddenly came upon me. I felt a sense of peace and contentment that I had not recognized in a LONG time. I think that we sometimes value drama (mistaken as passion) over these God-given blessings. Why? Because it causes our emotions to go into overdrive instead of simply resting in them. This man KNOWS me in ways that I wasn't even aware that I had shared with him. God really knew what he was doing when he introduced us on that Father's Day that I will forever be thankful for. In the past, I mistakenly thought that drama (my version of passion) was the definition of love. I could have never been so wrong. At that moment, I realized that what I felt when I leaned into him was everything I have ever needed. Peace and contentment. As I sat there, not paying attention to the game at all, I began to realize that there is PASSION...true, pure passion that is to be found within the peace and contentment that God longs for us to seek out in Him. Passion is not drama. It is a reaction to being fully enveloped in who God created us to be and how He meant for us to be loved. Don't chase the high of drama in your life. Chase peace, contentment...and TRUE passion that can only be given by God. "Much, much stress results from your wanting to make things happen before their times have come. One of the ways I assert my sovereignty is in the timing of events. If you want to stay close to me and do things my way, ask me to show you the path forward moment by moment. Instead of dashing headlong toward your goal, let me set the pace. Slow down and enjoy the journey in my presence"
With the new year, comes new resolutions. Well-meaning resolutions. Unfortunately, I think that the reason why most of them never come to fruition is because they become overwhelming and begin to seem unattainable. We bight off more than we can chew. God does not expect perfection from us, he is looking for progress...and progress is a PROCESS! What are some things that you feel God calling you to right now or are you seeking His guidance on? Pray and ask him to show you the path...moment by moment. List them out. Then ask yourself, "What is God revealing to me that He wants me to do RIGHT NOW?" In other words, "What can I do today/this week that will help me get closer to achieving the goals I am praying over?" Hope this helps my fellow personality types out there who geek out over lists and bullet points. Keep calm and get organized!!! I posted this song for New Year's Eve because it reminds me of some really great memories from my past. Everyone goes through seasons in their lives, and with those seasons, some friends come and go. While I am entering a new and WONDERFUL season in my life, I can't help but remember friends from my past that were very special to me but were only meant to be in my life for a short time. So, for this new year, let's all listen to this beautiful song and wish those people from our past who have brought us to where we are today and be thankful for the memories and the life lessons they taught us a Happy New Year and all the happiness in the world. For those of you living in a cave...we got snow in Texas this week! REAL snow! A lot of it! Yes, it only lasted one night but it was purely magical. The electricity in my apartment went out so I had to go over to William's. The living room was completely dark except for the light from his Christmas tree. He asked me to come and dance with him (which, in and of itself, was nothing too out of the ordinary). But, the song that he had chosen for us to dance to was "Lady in Red" which just so happens to be my favorite love song. When the song was over, he got down on one knee and asked me to marry him. I had to laugh at first because out of nervousness he accidentally opened the box upside down. My response was an immediate, "Yes!" This man has seen me at my best and at my worst and has loved me through all of it. He is, by far, the most patient human being on the planet. Anyone who can sit down and do homework with a hormonal 13 year old girl and ACTUALLY get it accomplished with no frustration has super powers that I just do not possess. We have something that is beyond explanation...just a way of understanding and protecting each other that is just beyond comprehension. I am so blessed to be loved by this man and his beautiful (also 13 year old) daughter. After all of the craziness that the last 3-4 years of my life have handed me, I can honestly say that I haven't felt the amount of peace and pure bliss than I feel when I am with him in a very long time. He helped me to find ME again. God is so good and gives good things to his children...even when they don't deserve them. I hope this post will help those of you who need some encouragement and hope that God really does have this and is waiting to bless you beyond your wildest dreams. I have been in the trenches just where you may be right now. Please read this and know that this isn't how it will always be. God loves you and has wonderful things in store for you. I am sending all the love and encouragement within me to all of you! Relationships are tricky. People are flawed. Our hearts are easily manipulated and sometimes even forced into denial by our own thoughts. So, with the understanding that there is no such thing as a perfect relationship...friendship, romantic, family, or otherwise...how do we truly know how to guard our hearts and discern between imperfect but healthy relationships and unhealthy toxic ones? The answer...Ask yourself if you reflect God's love towards one another. Sure, that sounds very simplistic but honestly, how many of us have considered that and still ignored the red flags that God has made clear to us? Proverbs 4:23 shares the wisdom of God in relation to our hearts but 1 Corinthians 13 breaks it down for us and helps us to actually apply it to our own lives. "Love is patient and kind. Love is not jealous or boastful or proud or rude. It does not demand its own way. It is not irritable, and it keeps no record of being wronged. It does not rejoice about injustice but rejoices whenever the truth wins out. Love never gives up, never loses faith, is always hopeful, and endures through every circumstance." Obviously we all struggle with less than admirable personality traits but look at these lists from a bird's-eye view. Are these things the "banner", so to speak, of your relationship. Are they constants? If you are in a relationship right now that just doesn't feel quite right to you, I urge you to pray hard over these lists and ask God to speak to you through your intuition. He gave it to you for a reason. I like to think of it as His still, small voice. I, myself, have CHOSEN to turn away from that voice in the past and even though it would have been excruciatingly painful to walk away from the toxic people in my life, I know now that it would have been a small sacrifice in comparison to where those relationships landed me. God does not desire unhealthy relationships for us...no matter how much we may love the other person. He ALWAYS has something...SOMEONE he wants to bless you with that is so much more than you could have ever chosen for yourself. Unfortunately, we sometimes take the long way around to find them. I am a true Royal Mess who loves to discuss anything from God, love, life to everyday shenanigans!